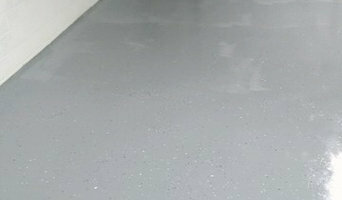 If you are looking for quality in a Nashville Painting company, look no farther. And the reasons are many! 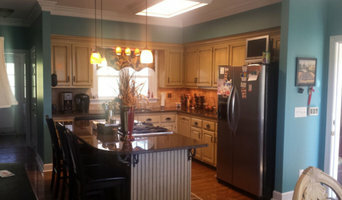 At Nash Painting, our approach is different - in that we don't compete on price. In order to do the job right, we realize that charging accordingly allows us to give our clients unmatched service. Our motto is: "Leave your home looking like something out of Better Homes and Gardens magazine." We are the first to tell you before you call us for a proposal that we are not the cheapest, but in almost all cases, the old adage is true: You do get what you pay for. Most contractors are quick to price match in order to win a project, only to deal with the consequences of working under budget once the job starts. We refuse to do sub-par work, and when we don't charge appropriately, we cannot take the time, do the quality of work, or hire the kind of workers YOU EXPECT. We will not bring strangers into your home. Most interior projects are completed while a customer is away at work. So, if I do not trust an employee in my own home, then I will not bring them to yours. Our clients trust us because we are willing to prove ourselves trustworthy. There are HUNDREDS of ways to cut corners on a project to maximize profits. Many of these are almost impossible to catch. We tell you what the shortcuts are, and exactly what we are going to do, so you know what you are paying for in advance. 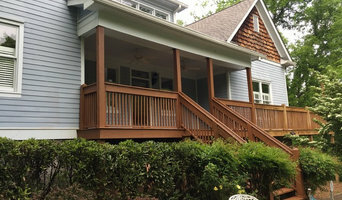 Our detailed proposals are appreciated because they are transparent, and we know that most homeowners are unsure exactly what to look for when getting painting proposals. Most proposals are designed to hide things. Not ours. If you are still unsure, please read our Interior and Exterior Painting Details pages to learn more about why we should be your next painter. And then compare us with other companies on trusted consumer sites on the web. We want you to know what you are getting… and to be completely happy with your decision. Then call us to schedule an estimate. We look forward to proving ourselves to you. Southern Solution is a middle Tennessee based Pressure Washing/Soft Washing service provider. We are trained and specialize in cleaning exterior surfaces from residential siding to stucco and Commercial roofing. If you have an exterior cleaning project and need assistance, give us a call. We value your property as our own. Welcome to Rob Dennis Painting and Restoration! Providing top quality work at an affordable price. Rob has lived in the Bellevue area of Nashville TN for 20 years. Rob met his wife of 17 years, at Trevecca Nazarene University where he earned his bachelor and master degrees. When he's not making your house look great he can be found spending time with his family. Rob believes in the golden rule. You can be sure that he will treat you and your family how he would want someone to treat his. Master Stucco was founded in 1994 to address the growing market of stucco repairs. It took several years to develop the techniques that we now use to repair stucco. Other companies have attempted to match the quality that Master Stucco provides to our customers, yet the best they can do is "patch" stucco. They leave unsightly reminders of the previous problem. This is unacceptable to us at Master Stucco. Our goal is, and has always been, to deliver a higher level of quality than anyone else in our market. Whether you own a property with a stucco exterior, or are looking to purchase a stucco property, Master Stucco is here to assist you. We have a comprehensive stucco maintenance program that provides a warranty on not only the stucco, but also the wood underneath the stucco. No other company offers this level of confidence. We are locally owned and managed, making it easy for you to talk to someone who will address any concern you have. Our goal is 100% customer satisfaction. 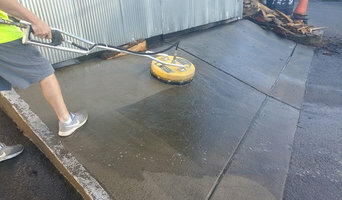 New Again Pressure Washing Services is a licensed and insured pressure washing company which provides service to residential and commercial properties in the Greater Nashville area. We will exceed expectations for quality, execution and success. We will do this in terms that develop long-term customer relationships.Before growth and profits, we believe that the needs of our customers and employees must be met for long-term success. At McNichols Property Maintenance, we take great pride in our quality of work. Overall, we strive for excellence in every aspect of our services. Redrock Enterprise is a company that provides a broad spectrum of services. Some of the services include home building, commercial property building/renovations, flooring, roofing, HVAC, storm/disaster restorations,remodeling, landscaping, tree cutting, asphalt and any of your concrete needs. 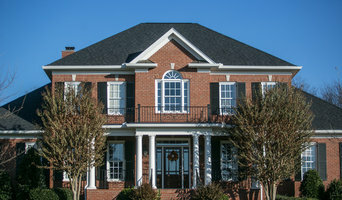 Pressure washing your Nashville, TN home can not only improve its curb appeal, but prolong its life. Seemingly harmless dirt and buildup can turn into mold and mildew that will slowly destroy your home, but hiring a professional power washing service in Nashville, TN can help prevent this. You can power wash most outdoor surfaces, including wood, vinyl, brick, stucco, and concrete, just make sure the Nashville pressure washing services you get quotes from know how to adjust the pressure to clean each material appropriately.